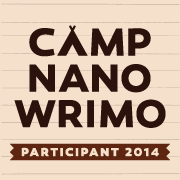 Okay, I’m going to switch to another of the new stories I wrote this summer. This was also inspired by one of my A-Z challenge ideas: Neural Rewiring. Nathan is the leader of a stunt aerobatics flying team, and they’re just starting a practice. “And a five six seven eight…” He tilted his joystick forward, and the jet he was flying dove down towards the sea. The six other planes left formation in different directions, sailing in graceful arcs through the air. Nathan tore his eyes away from the radar display and concentrated on his own arc, leveling off to an even altitude then climbing again. He kept the joystick perfectly steady as first Karen and then Seth buzzed past, so close it felt like their wings would brush his. The dance took six and a half minutes by the chronometer, but Nathan felt like he’d always been flying like this. Everything went perfectly until the very end, when they fell into a queue to touch-down on the same runway, before turning off onto different taxiways to slow down. Elizabeth yelped as she fell into line behind him. Okay, I’m going to switch to another of the new stories I wrote this summer. This was also inspired by one of my A-Z challenge ideas: Neural Rewiring. Nathan nodded to himself, and after a moment more voices came over the line. I’m continuing on with another snippet from a short story draft I wrote back in June, mostly after I got back from the Young Gunns workshop in Kansas. It was based on a story idea I shared back in the A-Z April challenge: Magic Milkshakes. This is still Danielle talking with her friend Irene. “I can’t seem to concentrate on the homework,” Danielle admitted. I’m continuing on with another snippet from a short story draft I wrote back in June, mostly after I got back from the Young Gunns workshop in Kansas. 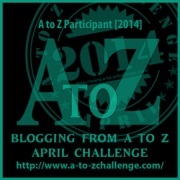 It was based on a story idea I shared back in the A-Z April challenge: Magic Milkshakes. “I can always trust on you to do the responsible thing.” Mom shook her head slightly as she left the room. Well, I’m in Toronto this weekend for Fan Expo, and the power of scheduled posts brings you this snippet from last Monday! I’m continuing on with a snippet from a short story draft I wrote back in June, mostly after I got back from the Young Gunns workshop in Kansas. It was based on a story idea I shared back in the A-Z April challenge: Magic Milkshakes. Track season was over, so she didn’t need to worry about sticking to her peak hurdling weight–for a little while. “Thanks Mom.” She inhaled another hit of chocolate and cream. I think this may be the last snippet I share from “The Gnomes are Missing,” so I’ll skip ahead and introduce a few characters I love, the dwarf champions. Kinwer looked at Trish, but Trish was flying ahead to greet the two dwarfs approaching the alcove. I’ll switch to a new story soon, but here’s more sentences the first draft of “The Gnomes are Missing.” I hope you enjoy them. Last time, Kinwer and Trish were still in the Dwarf Clan-Hold, preparing for their quest. “No, I’ve heard of it, but never spent much time under the mountains until now,” Trish said. Well, I take a week off from WWW for TNEO stuff, but here’s more sentences the first draft of “The Gnomes are Missing.” I hope you enjoy them. Last time, two weeks ago, Kinwer and Trish preparing for their quest. The dwarf handed him a light wooden stick, maybe five feet long. He went to a rack of weapons in the corner and pulled off a sword, holding it with both hands. The dwarf immediately started in on a long lecture about how to care for swords; not just sharpening, but how to clean it when you got blood or other gore on the blade, how to oil it and so on.